After Jose Mourinho's sacking, United sources indicated the club wanted to change its structures and bring in someone who could have an input into all major footballing decisions. Despite Solskjaer's permanent appointment last week, it is understood that remains the case with United hopeful of making an announcement by the start of next season. The 46-year-old was given a three-year contract on Thursday. "I'm happy talking and discussing football with knowledgeable people in the right positions," said Solskjaer. "The demands of football nowadays mean you definitely have to split responsibilities." Solskjaer added: "More than 100 years ago, managers used to be the club secretaries as well. "But things change. I have an input in most of the things now and will give my advice of course but I am not the one who decides. "A manager can't do as much as he used to do when my gaffer [Sir Alex Ferguson] started, for example. "Me and Ed [Woodward] and Joel [Glazer], we are looking at how can this club be run as smoothly and as well as possible." Whenever the technical director debate has been raised around the Old Trafford club, the response has repeatedly been that United have individuals who look after the component parts of the job - scouting, contracts, transfers, academy - just not one person. However, it is understood the club feel they have to solidify that structure and having one person overseeing all aspects is the preferred way forward. 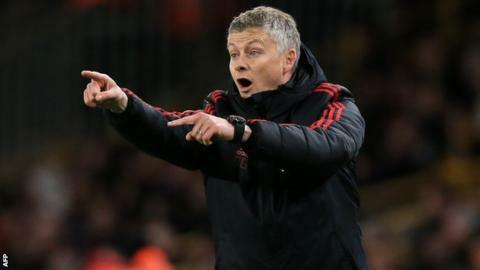 And, having seen the galvanising effect Solskjaer has had since returning to United under such difficult circumstances in December, it is felt someone with a feel for the club and understanding of it, is preferable. This raises the possibility of an internal appointment, such as Marcel Bout, the one member of Louis van Gaal's backroom team to remain at Old Trafford after the Dutchman's dismissal in 2016, taking on a bigger role than his current one as head of global scouting, or John Murtagh, United's head of youth development. Solskjaer has been talking to executive vice-chairman Woodward and co-chairman Glazer about the scope of the role and it is felt those discussions will be easier with the Norwegian in charge than Mourinho, who was privately opposed to anyone coming in who he did not already know.